Over the last week or so, I’ve had to call OmniPod Support four times! My pods failing to deploy & insert the cannual (tube) during setup. 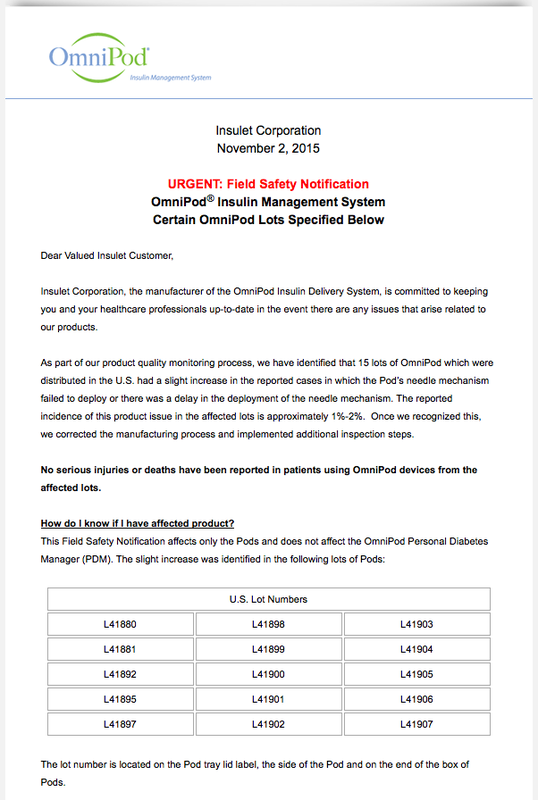 Insulet Corp (makers of the OmniPod) have been very helpful in sending me replacement pods and asking for the defective ones back. It hasn’t caused much stress, and because of their need to improve the product, I happily agreed to send back the defective pods. The first time it happened, I thought it was strange. Being that it was late at night, I hesitated to call, but did anyhow so I wouldn’t forget. I used another pod from the same box and it worked perfectly. My husband fell asleep next to me while I was changing my pod and on the phone. Insulet Corp sent a replacement & paid for the shipping to return the defective pod. Three days later when I went to change my pod, and it happened again. The cannual never deployed during set up. I tried another pod, which also did not deploy. I figured there was something wrong with the box of pods, so I opened a new box. Third time was the charm and I was able to successfully wear a new pod. I immediately called Insulet Corp to report the issue. They sent me two packages to return the failed pods, along with two new pods. Three days later when I went to change my pod again, it happened again. The cannual never deployed during set up. How in the world could this be? It was a BRAND NEW BOX that I was using, and the first one worked! Well truth of the matter was, the boxes all had the same Lot number. The representative I spoke to said she would replace all of the pods that I had on hand with that Lot number. She overnight-ed the box because I didn’t have many pods with other Lot numbers on hand. Today, I sent out the shipment with 16 pods, one of which failed to deploy. I didn’t think much of it. I typically don’t have much issues with my OmniPod and/or the pods. Until I found this article. As part of our product quality monitoring process, we have identified that 15 lots of OmniPod which were distributed in the U.S. had a slight increase in the reported cases in which the Pod’s needle mechanism failed to deploy or there was a delay in the deployment of the needle mechanism. The reported incidence of this product issue in the affected lots is approximately 1%-2%. Once we recognized this, we corrected the manufacturing process and implemented additional inspection steps. We appreciate how you depend on us and sincerely regret any inconvenience this may cause you. We are focused on delivering the highest level of product quality and your complete satisfaction is our top priority. 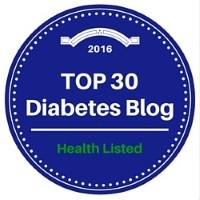 Thank you OmniPod & Insulet Corp for making my life easier, and making it necessary to depend on you for my diabetic needs. we are thinking of switching to the omnipod. when these kind of failures happen, do you have to throw away the insulin too?